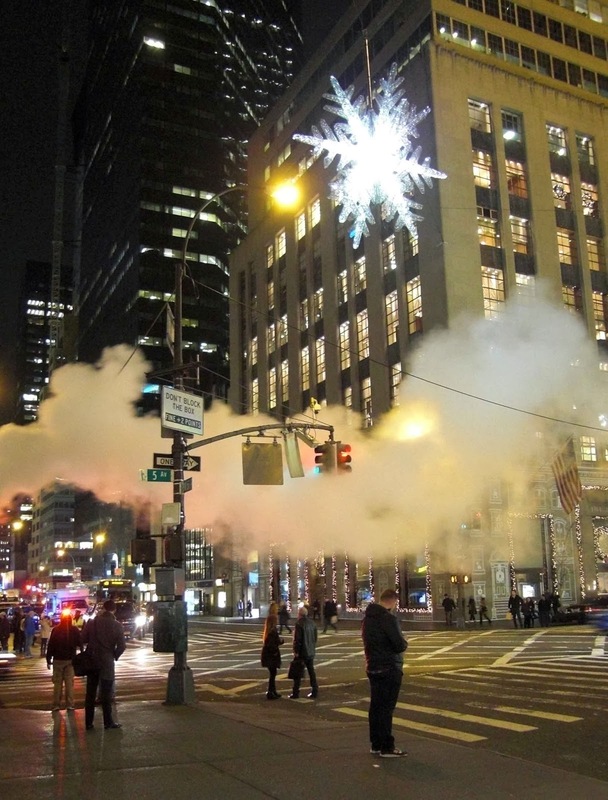 During the holidays, a large star hovers over the intersection of 5th Avenue and 57th Street. Because this is the tony part of Manhattan, inhabited by many jewelry stores, it’s easy to see it only as a symbol of the diamonds and other expensive jewels inside those stores. As I stood a bit further up the street, a steam pipe's exhaust sent small clouds drifting towards the star. I stood for a few minutes and watched them drift by. Now it was easy to see that star as the one that glowed, so much higher in the sky, so many years ago. 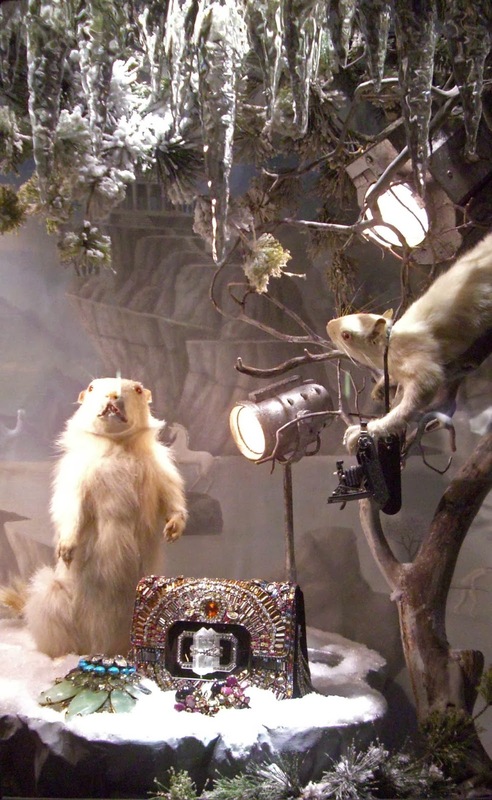 On the Upper West Side of Manhattan is a tiny shop with the perfect name of More & More. 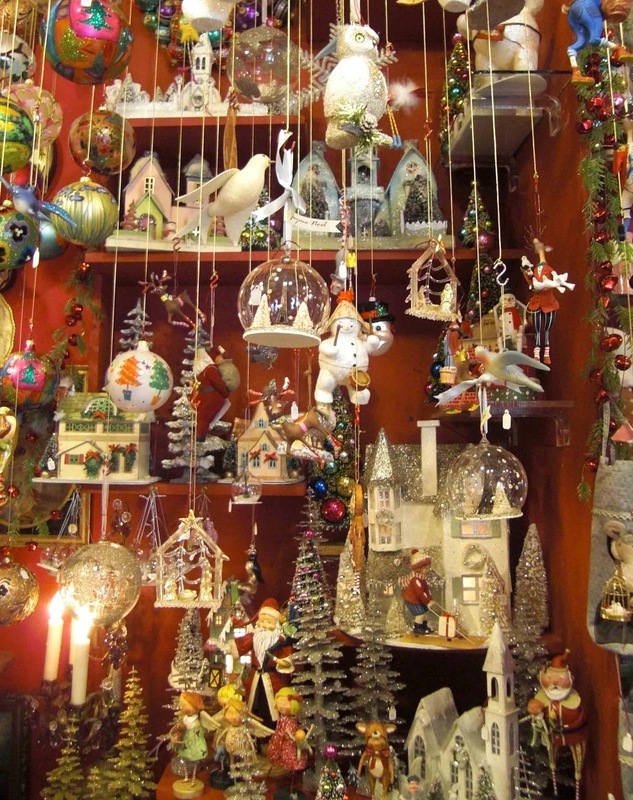 Especially during December, it is a stellar example of the art of design maximalism. Painted pewter Santas stand in the window and dangle from the edges of cake stands. 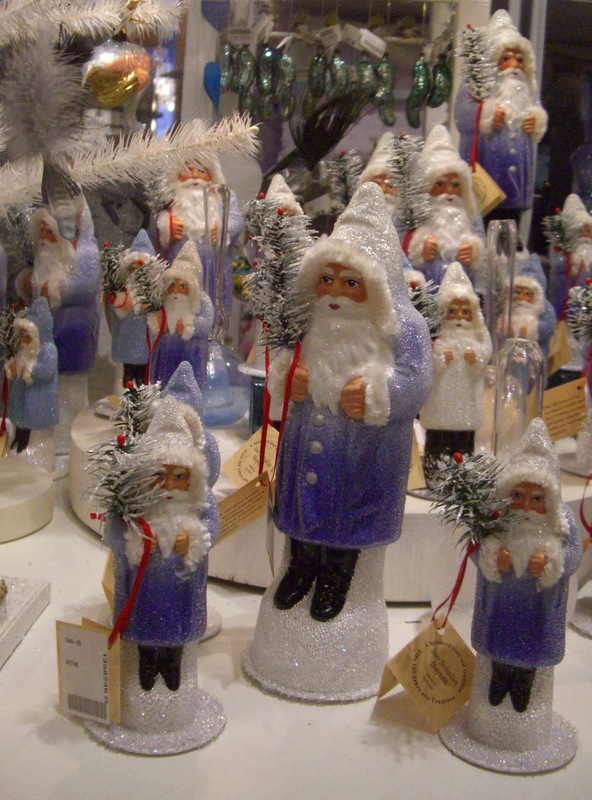 Orchestras of angels play unheard music for stern wooden Saint Nicks. Look beyond the snowmen, birds, and reindeer hanging from the ceiling and you will discover glittering paper houses and snow-dusted trees. How much more can the friendly and creative owners possibly cram into this wonderland of a shop? More and more every time, it seems. The Hope Diamond is the star attraction at the Smithsonian's Natural History Museum but a rival is on display in an adjoining gallery. 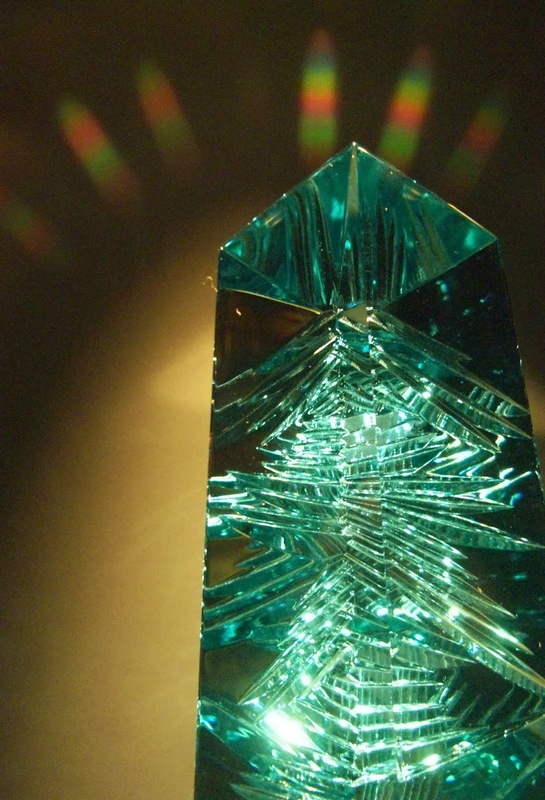 The 10,363 carat Dom Pedro Aquamarine radiates a mandora of rainbows. That's five pounds of pale green gemstone. Its obelisk shape repeats that of the nearby Washington Monument and is also a reminder of the natural crystalline structure of many minerals. Dug up in Brazil, it was a much larger boulder that broke into three pieces when the workers dropped it. Many large gems have a bad luck story in their background. The aura of unluckiness that clings to the Hope Diamond will always be more glamourous, but this big aquamarine is my new favorite.